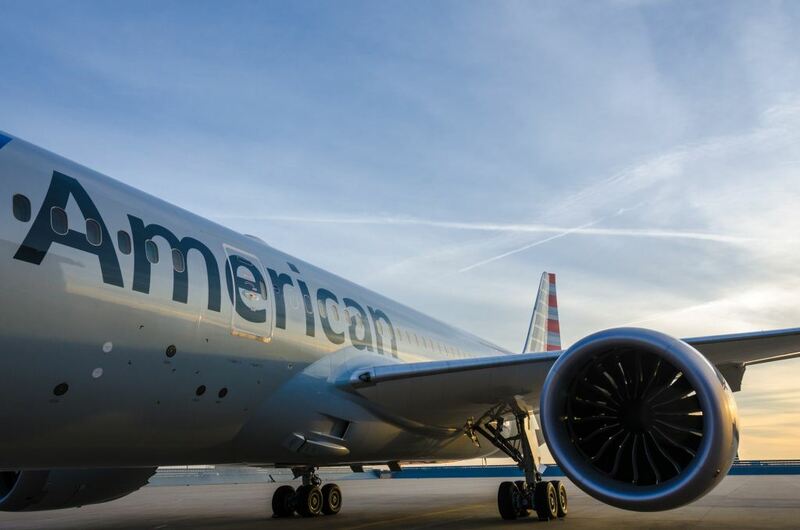 Back in mid January, American received it’s first Dreamliner, one of the main reasons the airline had to revisit its livery, due to the composite nature of the airframe. The new livery is supported by a new interior inside the 787 that matches the similar product being retrofitted onto some of its 777-200 fleet. 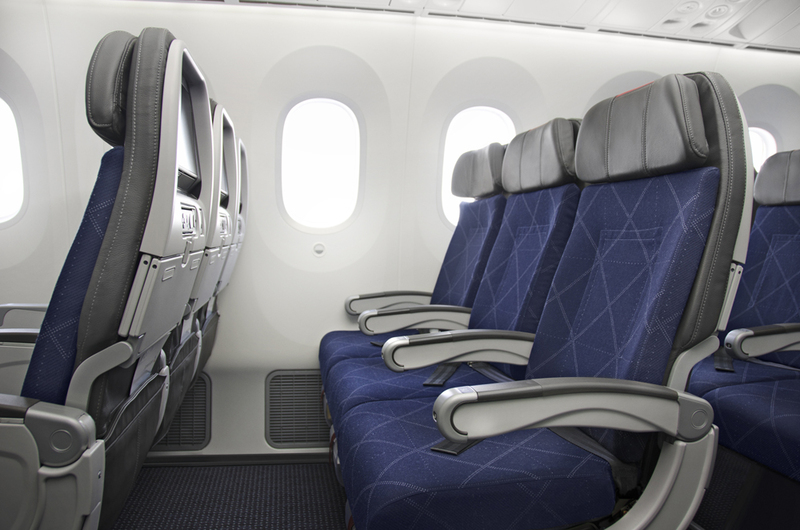 Installed in the front of the aircraft is the airline’s novel forward / rear facing herringbone seats, designed by Acumen Design Associates to give each passenger increased space where it matters most. The 28 seats turn into fully flat beds (length not yet disclosed), and offer a wealth of amenities, from two power sockets for each seat to USB charging and a large 15.4 inch HD Panasonic touchscreen monitor positioned in each seat. 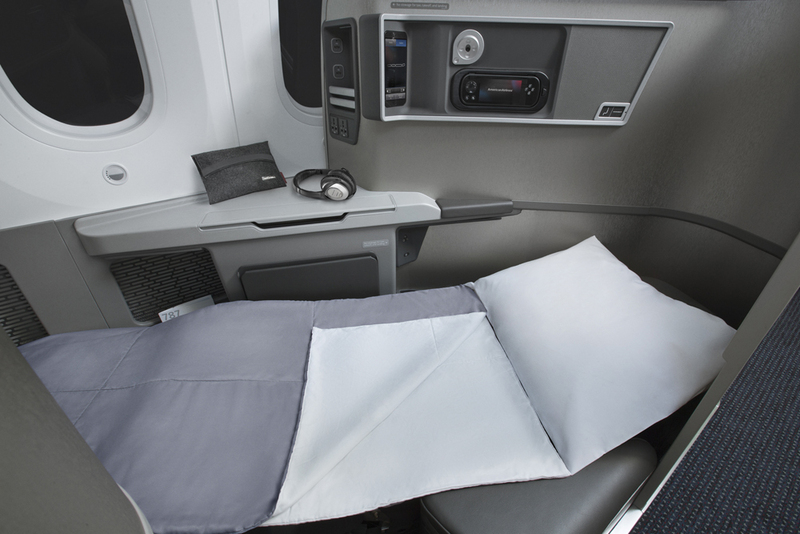 Business Class customers will also be offered Bose QuietComfort Acoustic Noise Cancelling headphones and ear buds. Passenger convenience doesn’t stop there, as there are a host of storage cubby-holes to keep belongings secure and being designed in a 1 x 2 x 1 configuration means that every passenger has access to the aisle. 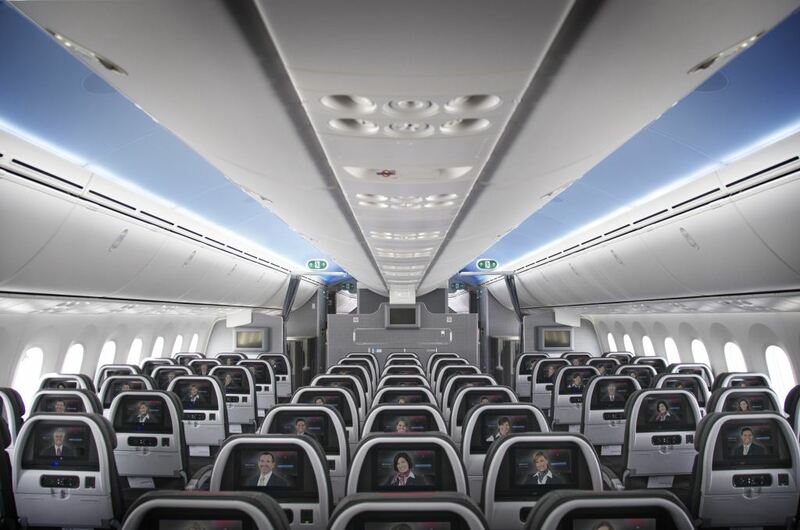 Being a Boeing Dreamliner, passengers will enjoy increased humidity, lower pressure levels, larger dimmable windows, improved sound quality and intelligent mood lighting all created to help reduce the effects of jet lag and increase passenger comfort. 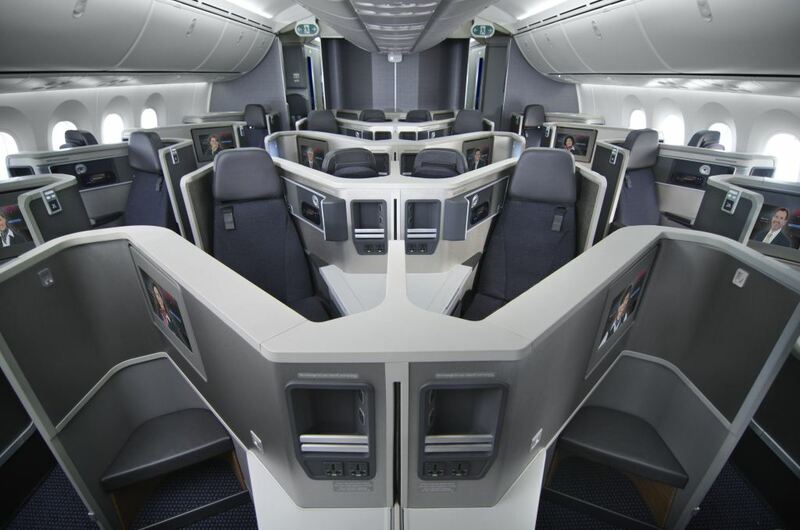 Similar to the 777s, American’s 787-8s will also feature a walk-up bar stocked with snacks and refreshments for customers traveling in the premium cabin. In economy American have followed their traditional seat offering. There are two versions of economy, rather than offering a dedicated unique ‘Premium Economy’ seat. The Main Cabin will be outfitted with 48 Main Cabin Extra seats in a (tight-yet-industry-standard) 3 x 3 x 3 configuration, offering customers up to six inches of additional legroom, and 150 Main Cabin seats also arranged in a 3 x 3 x 3 configuration. Every seat offers a 9-inch HD Panasonic touchscreen monitor with an assortment of movies, TV programs, games and audio selections. 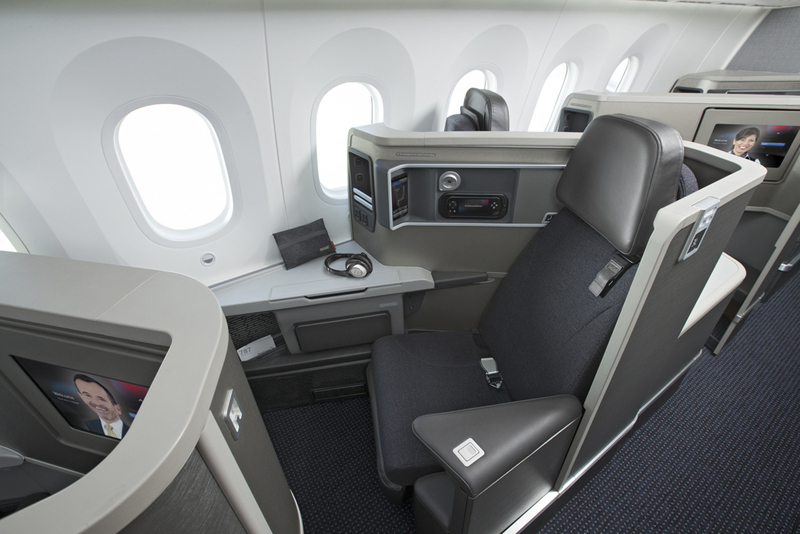 Each Main Cabin seat is also equipped with universal AC power outlets and a USB jack. 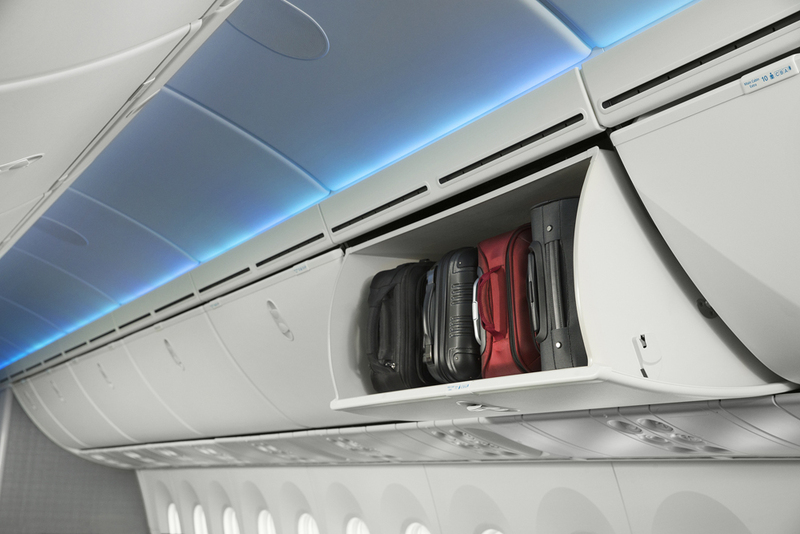 The cabin will also benefit from the larger overhead bins which can stack small cases on their side, increasing the amount of storage space per passenger. The 787 initially will be deployed between Dallas/Fort Worth International Airport (DFW) and Chicago O’Hare International Airport (ORD) beginning May 7, before launching internationally between DFW and Beijing Capital International Airport (PEK) beginning June 2. The new aircraft will also operate between DFW and Ministro Pistarini International Airport (EZE) in Buenos Aires beginning June 4. American will deploy the 787 to additional markets in 2015 as it takes delivery of new aircraft.